Home / What is Electrofusion? 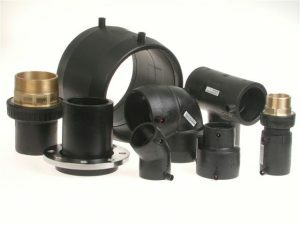 Wikipedia states that “Electrofusion is a method of joining MDPE, HDPE and other plastic pipes using special fittings that have built-in electric heating elements which are used to weld the joint together.The pipes to be joined are cleaned, inserted into the electrofusion fitting (with a temporary clamp if required) and a voltage (typically 40V) is applied for a fixed time depending on the fitting in use. The built in heater coils then melt the inside of the fitting and the outside of the pipe wall, which weld together producing a very strong homogeneous joint. The assembly is then left to cool for a specified time.